Are you dreaming of a White Christmas? For many parts of the country you may be in luck. Keep in mind, Christmas is still a loooooong way away. Climatologically speaking, the chances for a White Christmas are not great. 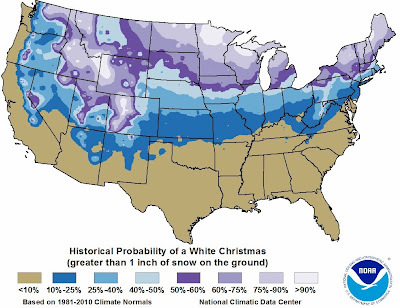 Here are the historical probabilities of a white Christmas for the lower 48. As you can see from the map above, the Midwest generally has a less than 10% probability to as much as a 40% probability of a White Christmas. A White Christmas is defined as 1" or more of snow on the ground as of 7am (local time) Christmas morning. The probability is close to the same for southern/southeastern Colorado. Approximately a 10% to 25% probability. December 25 is now beginning to come in view for one of the computer models we use to forecast. With Christmas currently at the far edge of the model's view, you must take what it is projecting with a GIGANTIC grain of salt. The model I am referring to is the National Weather Service's Global Forecast model, the GFS. Looking at the data, the model is suggesting much colder weather for much of the country. This far out I am sure the model is exaggerating how cold the air actually will be, but it is something to take note of. Here is a look at temperatures at 850mb, or around 5,000' at 6pm CT December 24. 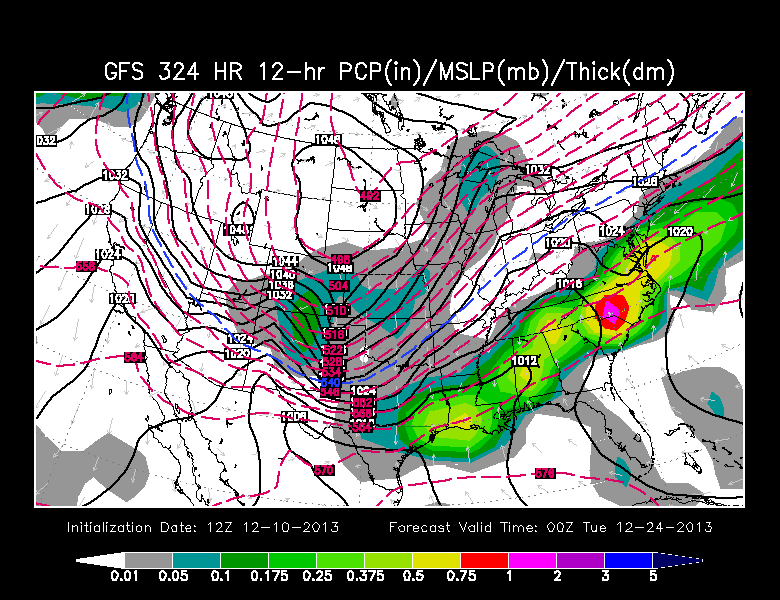 The GFS definitely plunges cold air out of Canada and dives it far south. It would suggest temperatures in the 20°s and 30°s for Missouri and Iowa. We all know that ahead of a big plunge in temperatures there is usually a storm. 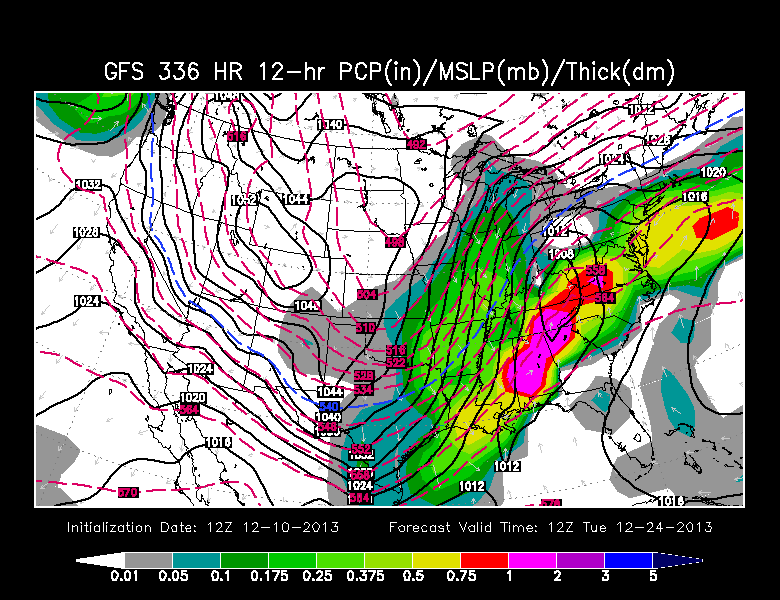 The GFS doesn't disappoint. 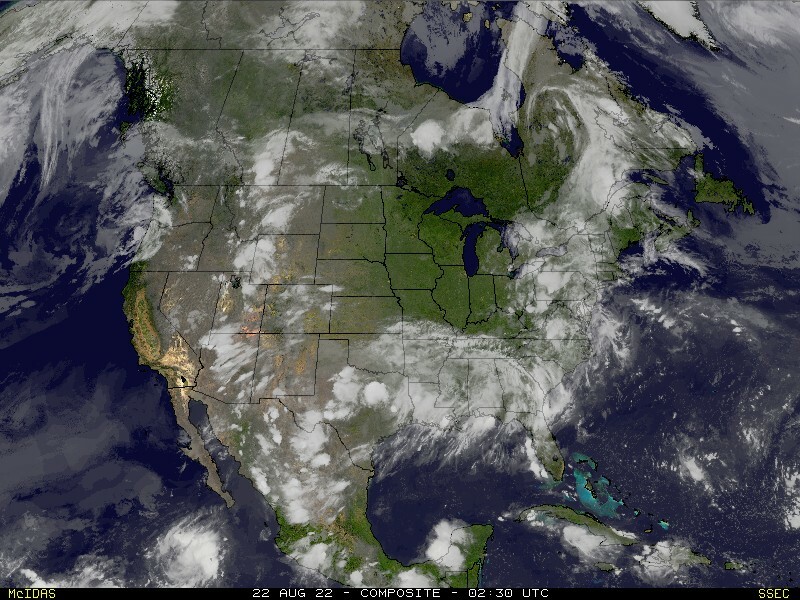 It develops a storm over the NW United States, dives it in to the Rockies, moves it through the Midwest and then has it exiting the NE United States. 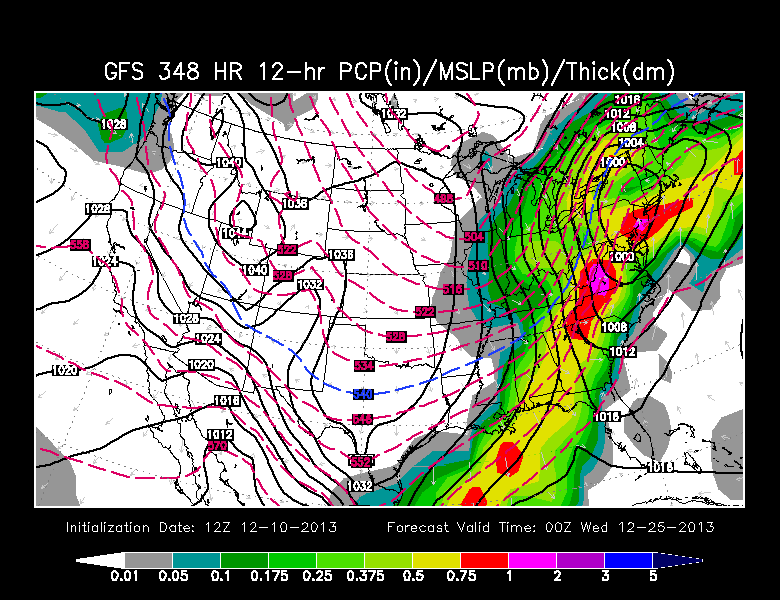 Here is a view of different time periods leading up to Christmas from the GFS. According to the model, a system has passed through southern Colorado, New Mexico and the Texas panhandle. Behind the cold front, cold air is spilling down the Rocky Mountains. The model also develops light moisture, which if this model is to pan out, would be snow falling over eastern/southern Colorado, central/eastern New Mexico and Kansas. 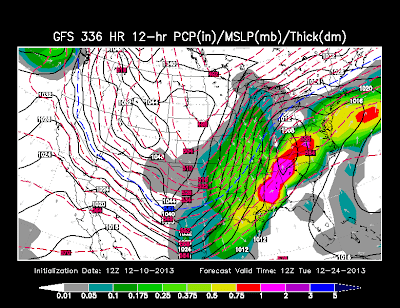 By the morning of December 24 the area of low pressure is developing as it moves up through the Ohio River Valley. Thunderstorms could be developing ahead and along the cold front. Behind the cold front, moisture is running in to cold air and snow breaks out over Illinois, Missouri, Arkansas and northwest Indiana. 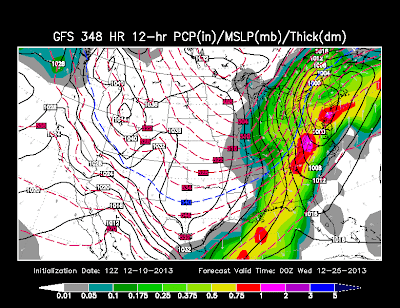 By late afternoon/evening of Christmas Eve the system is moving up the east coast taking the moisture with it. Before it leaves, it continues to drop moisture, in the form of snow, over Illinois, Indiana, Michigan and Ohio. Behind the system, cold air continues to spill in to the Midwest. That is a quick little play-by-play of what the computer model is suggesting. Again, this will LIKELY change about 400 times between now and Christmas. At the beginning of the month I had posted that an experimental loooooong range computer model was suggesting Christmas could be warm for much of the country. The latest run of that model, the European forecast agency's model, is now suggesting cooler weather, and in some cases near normal temperatures for Christmas. At this point this is more for fun than anything else. I don't know about you, but I find it fun to look ahead and see what could happen. Don't take the information above seriously as it will likely change. I'll keep an eye on what the models suggest as we get closer to Christmas. When I'm putting my daily forecast together I will often tweet little bits of information as I see it, so be sure to follow me on Twitter (@johndissauer). I'm sure I'll have updates here on the blog as we get closer as well. Bottom line... Should you take what the computer model is suggesting with any seriousness? No. 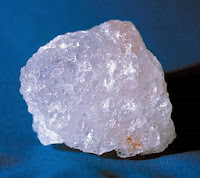 If you are hoping for a White Christmas, it gives you a little bit of hope. Keep hoping! But at this point I wouldn't be making any decisions based on the data presented. I know I'm not.